It took about a week before I stopped jolting awake in the middle of the night. Our old place had been only a block or two from downtown. People had tried to break in. They’d passed out on the lawn. Once, my neighbor found a college kid sleeping in her bed. In the summertime, when the windows were open at night, I’d lie in bed, hearing screams, and wonder. I’d woken up to cops shining flashlights in the bedroom where I slept with my seven year old and my newborn. My plan was to move out before the baby started crawling using my tax refund and some of my student loans. Then the car broke down on the freeway. Then I had to pay a lawyer to finalize a child-support modification. I’d just graduated from college, had two freelancing jobs that paid less than $500 a month, and nothing left in savings. I thought that if I had to, I could sell my car. Maybe we could just stay in the old apartment. I asked my landlord to fix the drafty windows and put a new grate over an air intake. He said the apartment wasn’t suitable for my family and that I needed to move out. Then a pastor from a friend’s church called. They’d taken up a collection that paid our rent for two months. It saved us. I applied for every apartment available through the local housing authority. They had units through the low-income housing tax credit (LIHTC) program, something I’d never heard of. Their waiting lists were a hundred people long. I stared at the applications for the other low-income housing places I’d found, ones where neighbors were rumored to sneak in at night to steal prescriptions. Then I got a letter in the mail: My name had come up for an apartment in a LIHTC building. I scrambled to get the application in. When we walked through the apartment, I marveled at the washer and dryer, the working forced-air heat, the double-paned windows, the hippie store around the corner, and the two bedrooms. All for $430 a month. We’ve been here for six months. 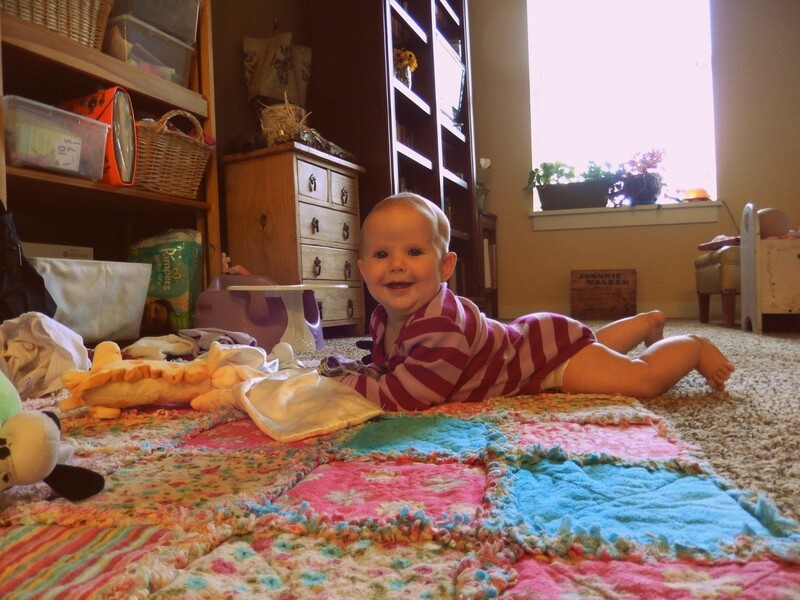 The baby crawls gleefully across the carpet. My older daughter comes inside smelling like dirt and grass, as every kid should. I sleep well at night. We are home.